T. Rowe Price QM U.S. Small-Cap Growth Equity (MUTF:PRDSX) seeks capital appreciation over the long run. PRDSX invests the lion’s share of its assets in securities of growth-oriented companies with small size market capitalization. Though PRDSX primarily focuses on acquiring securities of domestic companies, it may also invest not more than 10% of its assets in securities of companies located in foreign lands. T. Rowe Price QM US Small-Cap Growth Equity has three-year annualized returns of 8.9%. As of June 2017, PRDSX held 304 issues, with 0.94% of its assets invested in Toro Co.
Oppenheimer Discovery Fund Class Y (MUTF:ODIYX) invests the bulk of its assets in common stocks of domestic companies, which have favourable growth prospects. The fund invests in small-cap companies which are within the range of the market cap of the Russell 2000 Growth Index. Oppenheimer Discovery Fund Class Y has three-year annualized returns of 8.4%. ODIYX has an expense ratio of 0.87% compared with the category average of 1.26%. Hartford Small Cap Growth HLS IB (MUTF:HBSGX) invests a major portion of its assets in common stocks of small-cap companies. HBSGX looks for companies that are expected to have above-average growth prospects. The fund may also invest a maximum of 25% of its assets in non-U.S. securities. Hartford Small Cap Growth HLS IB has three-year annualized returns of 8.4%. David Elliot is one of the fund managers of HBSGX since 2010. 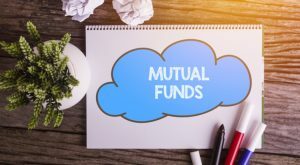 Article printed from InvestorPlace Media, https://investorplace.com/2017/08/3-small-cap-growth-mutual-funds-stunning-returns-ggsyn/.